Create Changes team is pleased to serve its patients in Cardiff Bay and the surrounding areas with the very current dental implant services including affordable dental implants Cardiff and affordable Invisalign Cardiff. Create Changes, a sought-after and renowned full-service dental clinic based in Mermaid Quay, Cardiff Bay is pleased to provide their latest dental implant services. Invisalign Cardiff is one of their most recent dental services. Invisalign is an orthodontic treatment, which helps to improve teeth without the use of the standard metal braces. 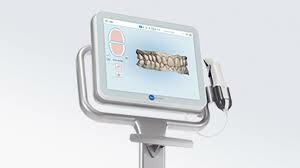 It has quickly transformed the orthodontics industry. Today, patients have a new option apart from those ugly metal brackets. It includes wearing a sequence of custom-made clear plastic aligners, which help shift the teeth into the right position. Patients who would have never considered using braces before are now giving Invisalign a try. Losing teeth is a matter of poise. There could be different cases where people could lose their teeth either because of some disease conditions or losing them accidentally. A dental implant guarantees to preserve the natural smile by inserting an artificial tooth into the patient’s gums. Dental implants do not only add beauty, but it also helps in eating and natural speech. According to the Dental Association, the major dental problems amongst adults ages 20 to 64 are missing teeth and gum disease. For missing teeth, dental implants are considered to be the standard for their long-lasting, natural look and durability results. However, selecting a high-quality dental practice, which is cheap and reasonable can be hard for some people. Luckily, by receiving dental solutions from experienced cosmetic dentists from Create Changes, patients receive quality results while saving a huge amount of cash. Create Changes aims to make all dental implants costs in Cardiff as affordable as possible to all their patients to see a bright smile. With many years of practice in the dental implant industry, Create Changes provide the best quality and affordable dental implants Cardiff. They are composed of professionals who concentrate on restoring the bright smile of their patients along with a high success rate. Quality results, best treatment, and premium dental care are their prime focus. New and existing patients are encouraged to fill out information forms and conduct pre-consultations exams. The certified and qualified staff of the dental implants Cardiff clinic do their very best in assessing the diagnosis of their patients based on these results. Further, the clinic offers their patients with useful and informative information about teeth, the scheduled services, the preparations prior the appointment and things to expect after or on the following check-up. The dental implant clinic focuses on patient comfort and new invasive methods, which their patients love. They believe in a team approach to handling their patient's goals effectively. Their Cosmetic Dentist Cardiff is committed to making sure that all their patients receive tailored, focused care to help achieve their oral health goals. The dentists at Create Changes are proud to provide possibly the most affordable price for their dental solutions. They strive for fair pricing on dental implants and Invisalign without compromising on the latest technology and excellent. On further approach, their team of experienced and reliable dentists assess their patients carefully and provide them all needed treatment plans and specify quote and costs up front. There is no surprise hidden charges at the end of every treatment. Their passion for innovating and learning in the continually changing field of periodontics keeps the company motivated to set a higher standard care for dental treatment. The dental services, which they provide include affordable Invisalign Cardiff and affordable dental implants Cardiff. When it comes to the signature in Invisalign and dental implant, Create Changes is the perfect dental clinic to consider. Along with their oral expertise and health knowledge, patients can be certain that they will have healthy teeth and gums. Create Changes was founded by a group of passionate and caring dental specialists who aims to manage the dental necessities of their patients of all ages all over Cardiff Bay area. This dental company is fully dedicated to offering every patient with superb dental care, which reflects every individual need and treatment plans for their patients. Everybody at Create Changes aims to make patient visits calm and comfortable in their modern dental clinic with the help of latest technologies. Create Changes also provide high-quality dental implants in Cardiff. The team strives to ensure gentle, safe and affordable dental solutions. Interested patients can browse Create Changes’ site for more additional information about their dental implant and Invisalign services. Visit their official website at https://create-changes.com/or give them a call at 02920 481212.